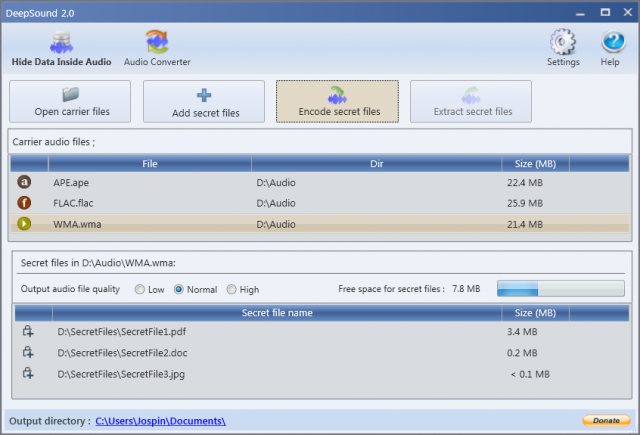 DeepSound is an audio steganography tool and audio converter that hides secret data into audio files, the application also enables you to extract secret files directly from audio files or audio CD tracks. This audio steganography tool can be used as copyright marking software for wave, flac, wma, ape, and audio CD. DeepSound also support encrypting secret files using AES-256(Advanced Encryption Standard) to improve data protection. The application additionally contains an easy to use Audio Converter Module that can encode several audio formats (FLAC, MP3, WMA, WAV, APE) to others (FLAC, MP3, WAV, APE). Read the rest of DeepSound – Audio Steganography Tool now! Only available at Darknet. Well luckily for you Acunetix compiles an annual web application vulnerability report which is a fairly hefty piece of analysis on data gathered from the previous year. This is compiled from the automated web and network perimeter scans run on the Acunetix Online platform, over a 12 month period, across more than 10,000 scan targets. Read the rest of What are the MOST Critical Web Vulnerabilities in 2019? now! Only available at Darknet. GoBuster is a Go-based tool used to brute-force URIs (directories and files) in web sites and DNS subdomains (with wildcard support) – essentially a directory/file & DNS busting tool. The author built YET ANOTHER directory and DNS brute forcing tool because he wanted..
… something that didn’t have a fat Java GUI (console FTW). … to build something that just worked on the command line. … something that did not do recursive brute force. Read the rest of GoBuster – Directory/File & DNS Busting Tool in Go now! Only available at Darknet. BDFProxy allows you to patch binaries via MiTM with The Backdoor Factory combined with mitmproxy enabling on the fly patching of binary downloads (software updates for example) from vendors that don’t validate data integrity. The Backdoor Factory allows you to patch binaries with shell-code so combining that with mitmproxy, which is a Python proxy-server that can catch HTTP, change traffic on the fly, replay traffic, decode and render primitive data types – gives you BDFProxy. 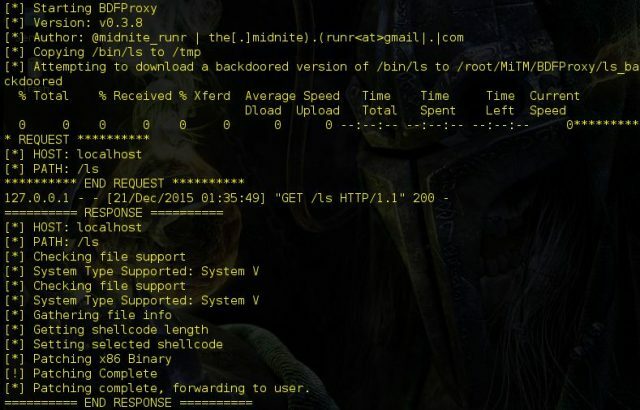 Read the rest of BDFProxy – Patch Binaries via MiTM – BackdoorFactory + mitmproxy now! Only available at Darknet. Domained is a multi tool subdomain enumeration tool that uses several subdomain enumeration tools and wordlists to create a unique list of subdomains that are passed to EyeWitness for reporting. This produces categorized screenshots, server response headers and signature based default credential checking. It is written in Python heavily leveraging Recon-ng. Read the rest of Domained – Multi Tool Subdomain Enumeration now! Only available at Darknet. Following extensive customer research, it became clear to us that a number of customers and security community professionals preferred to run on Linux. Tech professionals have long chosen Linux for their servers and computers due to its robust security. However, in recent years, this open source operating system has become much more user-friendly. Read the rest of Acunetix Vulnerability Scanner For Linux Now Available now! Only available at Darknet. 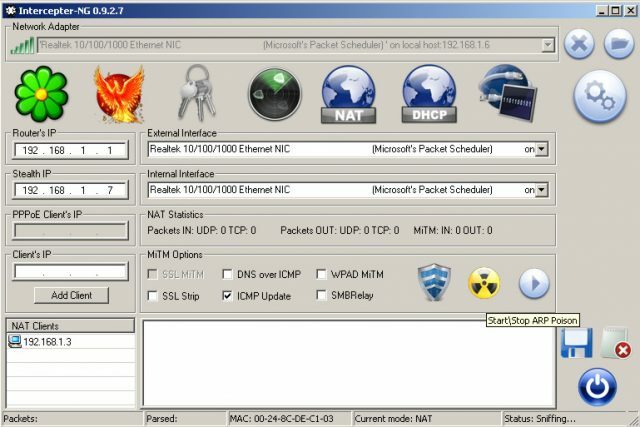 Gerix WiFi cracker is an easy to use Wireless 802.11 Hacking Tool with a GUI, it was originally made to run on BackTrack and this version has been updated for Kali (2018.1). Read the rest of Gerix WiFi Cracker – Wireless 802.11 Hacking Tool With GUI now! Only available at Darknet. 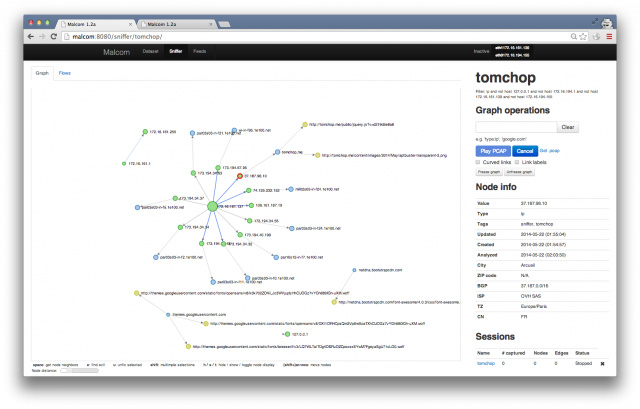 Malcom is a Malware Communication Analyzer designed to analyze a system’s network communication using graphical representations of network traffic, and cross-reference them with known malware sources. This comes handy when analyzing how certain malware species try to communicate with the outside world. The aim of Malcom is to make malware analysis and intel gathering faster by providing a human-readable version of network traffic originating from a given host or network. 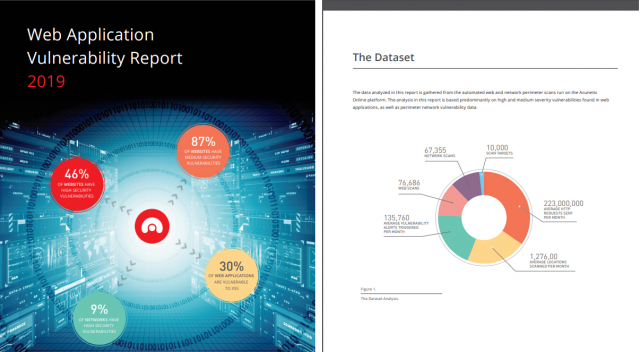 Read the rest of Malcom – Malware Communication Analyzer now! Only available at Darknet. 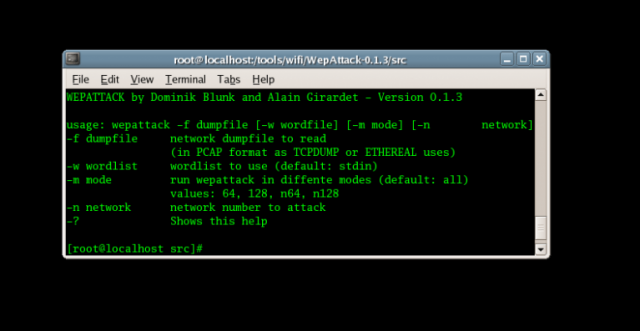 WepAttack is a WLAN open source Linux WEP key hacking tool for breaking 802.11 WEP keys using a wordlist based dictionary attack. This tool is based on an active dictionary attack that tests millions of words to find the right key. Only one packet is required to start an attack. What is a WEP Key? Wired Equivalent Privacy (WEP) is a security algorithm for IEEE 802.11 wireless networks. Introduced as part of the original 802.11 standard ratified in 1997, its intention was to provide data confidentiality comparable to that of a traditional wired network. WEP, recognizable by its key of 10 or 26 hexadecimal digits (40 or 104 bits), was at one time widely in use and was often the first security choice presented to users by router configuration tools. Read the rest of WepAttack – WLAN 802.11 WEP Key Hacking Tool now! Only available at Darknet. Eraser is a hard drive wiper for Windows which allows you to run a secure erase and completely remove sensitive data from your hard drive by overwriting it several times with carefully selected patterns. Eraser is a Windows focused hard drive wiper and is currently supported under Windows XP (with Service Pack 3), Windows Server 2003 (with Service Pack 2), Windows Vista, Windows Server 2008, Windows 7,8 ,10 and Windows Server 2012. Read the rest of Eraser – Windows Secure Erase Hard Drive Wiper now! Only available at Darknet. 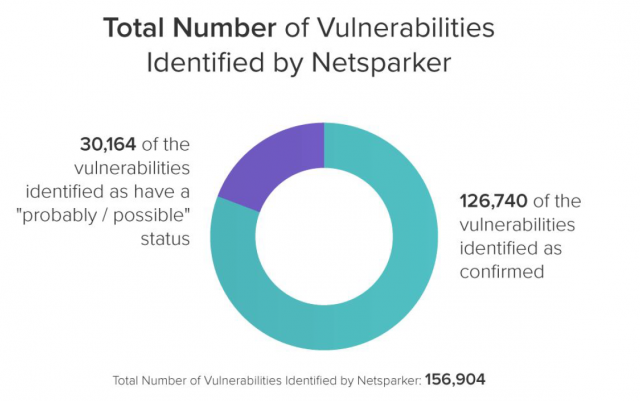 Netsparker just published some anonymized Web Security Stats about the security vulnerabilities their online solution identified on their users’ web applications and web services during the last 3 years. Data-based stats like these, which are not based on surveys, can be pretty useful – at least to get a broad overview of what is going on. These statistics also serve a solid purpose – they help all developers, security professionals and anyone who works with web applications better understand what might be going wrong. Read the rest of Web Security Stats Show XSS & Outdated Software Are Major Problems now! Only available at Darknet. 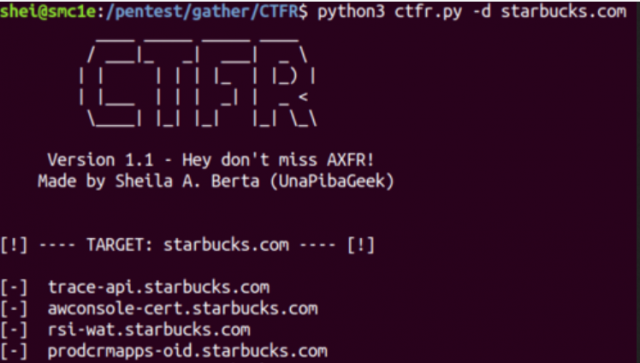 CTFR is a Python-based tool to Abuse Certificate Transparency Logs to get subdomains from a HTTPS website in a few seconds. You missed AXFR technique didn’t you? (Open DNS zone transfers), so how does it work? CTFR does not use dictionary attack or brute-force attacks, it just helps you to abuse Certificate Transparency Logs. Google’s Certificate Transparency project fixes several structural flaws in the SSL certificate system, which is the main cryptographic system that underlies all HTTPS connections. Read the rest of CTFR – Abuse Certificate Transparency Logs For HTTPS Subdomains now! Only available at Darknet. testssl.sh is a free command line tool to test SSL security, it checks a server’s service on any port for the support of TLS/SSL ciphers, protocols as well as recent cryptographic flaws and more. testssl.sh is pretty much portable/compatible. It is working on every Linux, Mac OS X, FreeBSD distribution, on MSYS2/Cygwin (slow). It is supposed also to work on any other unixoid systems. A newer OpenSSL version (1.0) is recommended though. Read the rest of testssl.sh – Test SSL Security Including Ciphers, Protocols & Detect Flaws now! Only available at Darknet. A fairly serious 4-year old libssh bug has left servers vulnerable to remote compromise, fortunately, the attack surface isn’t that big as neither OpenSSH or the GitHub implementation are affected. The bug is in the not so widely used libSSH library, not to be confused with libssh2 or OpenSSH – which are very widely used. There’s a four-year-old bug in the Secure Shell implementation known as libssh that makes it trivial for just about anyone to gain unfettered administrative control of a vulnerable server. 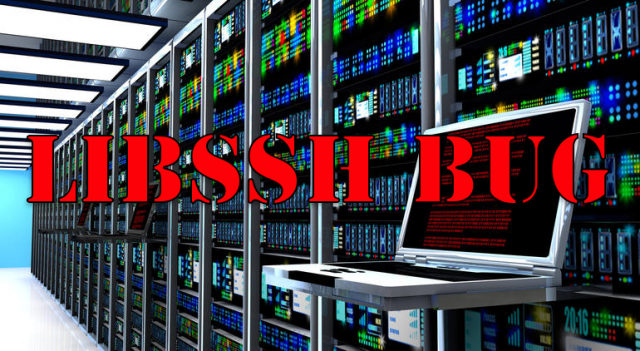 Read the rest of Four Year Old libssh Bug Leaves Servers Wide Open now! Only available at Darknet. CHIPSEC is a platform security assessment framework for PCs including hardware, system firmware (BIOS/UEFI), and platform components for firmware hacking. It includes a security test suite, tools for accessing various low-level interfaces, and forensic capabilities. It can be run on Windows, Linux, Mac OS X and UEFI shell. You can use CHIPSEC to find vulnerabilities in firmware, hypervisors and hardware configuration, explore low-level system assets and even detect firmware implants. 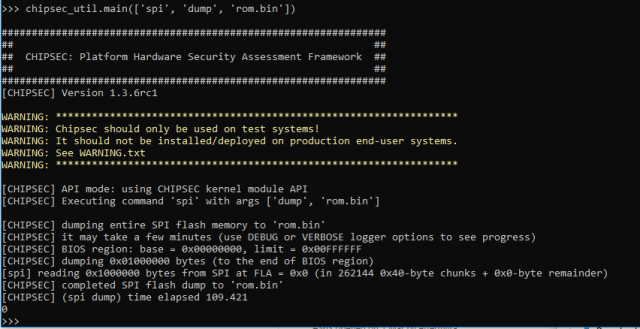 Read the rest of CHIPSEC – Platform Security Assessment Framework For Firmware Hacking now! Only available at Darknet. The array of easily available Hacking Tools out there now is astounding, combined with self-propagating malware, people often come to me when their website got hacked and they don’t know what to do, or even where to start. Acunetix has come out with a very useful post with a checklist of actions to take and items to prepare to help you triage and react in the event of a compromise on one of your servers or websites. 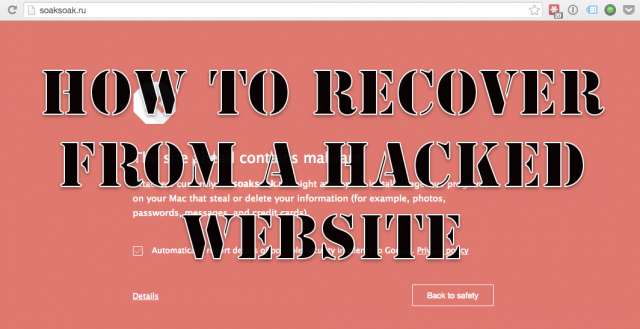 Read the rest of How To Recover When Your Website Got Hacked now! Only available at Darknet. HTTrack is a free and easy-to-use offline browser utility which acts as a website downloader and a site ripper for copying websites and downloading them for offline viewing. HTTrack allows you to download a World Wide Web site from the Internet to a local directory, building recursively all directories, getting all the HTML, images, and other files from the server to your computer. HTTrack arranges the original site’s relative link-structure, which allows you to simply open a page of the “mirrored” website in your browser, and you can browse the site from link to link as if you were viewing it online. Read the rest of HTTrack – Website Downloader Copier & Site Ripper Download now! Only available at Darknet. sshLooter is a Python script using a PAM module to steal SSH passwords by logging the password and notifying the admin of the script via Telegram when a user logs in rather than via strace which is not so reliable. It also comes with an installation script install.sh to install all dependencies on a target host machine. ssHLooter was inspired to steal SSH passwords via another script using Python to implement a PAM module to log failed attempts, the author just had to change the location where passwords were logged. Read the rest of sshLooter – Script To Steal SSH Passwords now! Only available at Darknet. Intercepter-NG is a multi functional network toolkit including an Android app for hacking, the main purpose is to recover interesting data from the network stream and perform different kinds of MiTM attacks. Specifically referring to Intercepter-NG Console Edition which works on a range of systems including NT, Linux, BSD, MacOSX, IOS and Android. The Windows version is the one with the most powerful feature-set, but the Android app is fairly handy too. Read the rest of Intercepter-NG – Android App For Hacking now! Only available at Darknet. The capacity to programmatically crack passwords is also a function of the number of possible passwords per second which can be checked. If a hash of the target password is available to the attacker, this number can be in the billions or trillions per second, since an offline attack is possible. In this case dcipher uses online hash checking services, which have extremely large Rainbow Table sets of pre-computed hashes, to rapidly find hash collisions. Read the rest of dcipher – Online Hash Cracking Using Rainbow & Lookup Tables now! Only available at Darknet.